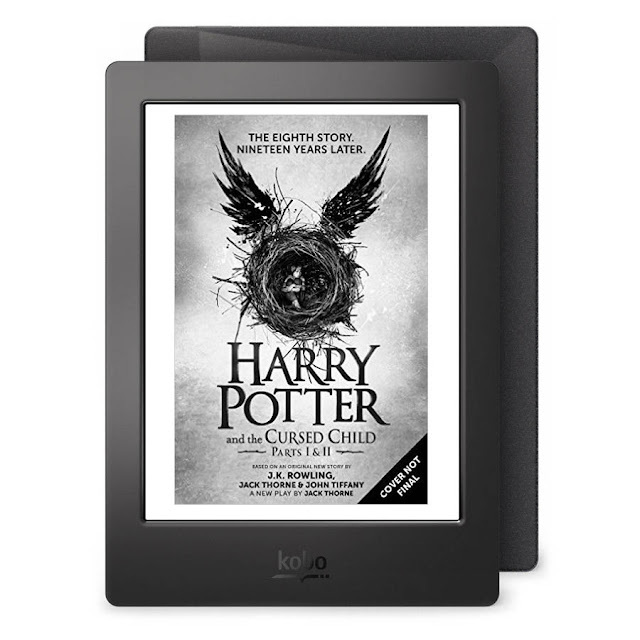 Waterproof Summer Reading with Kobo: Harry Potter and the Cursed Child & Other Picks + CONTEST! One fond summer memory that still sticks with me to this day, was visiting the bookstore with my mom, and together picking out my entire summer reading line up for our time at the cottage. I was a tween, and some books my mom picked for me, and others she let me choose. Some of her picks included Lord of the Flies, by William Golding and A Tree Grows in Brooklyn, by Betty Smith (which she would read to me that summer). One of my own choices included Dayworld, which was to become a science fiction triology by Philip José Farmer. I remember the intense hour I spent in the bookstore, studying each book cover and reading its accompanying description. Each book had that new book smell, and I was intoxicated by how the books' spines were perfect and uncracked, and none of the pages were folded. I tried out each book's weight and feel in my hands, and noted if it was thick or thin. I ran my fingers over the glossy book covers. Which book would I read first, second, third and so on? That summer there were many rainy days at the cottage, and I was thankful to have my new books. This year I'll be bringing a Kobo Aura H20 to the cottage, although I still enjoy the feel and look of paper books. Gone are the days that I must pack a suitcase just for my books alone, and it's only practical to purchase new titles as e-books and stop accumulating paper tomes. 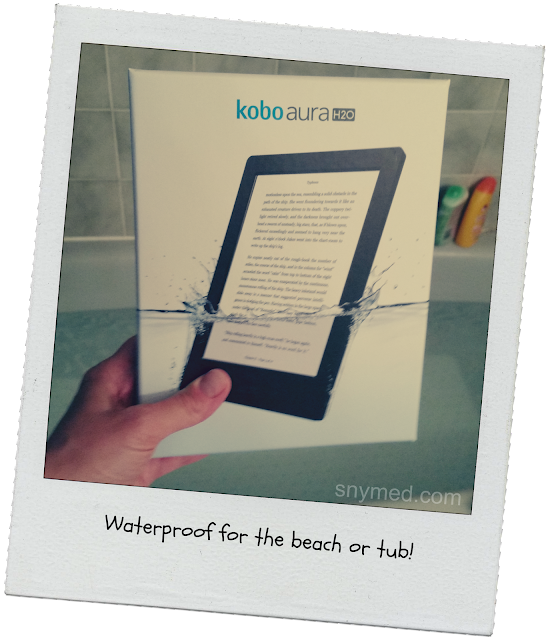 The Kobo Auro H20 is waterproof (up to 30 minutes in 1 metre of water with the port cover closed), anti-glare and dustproof. So, I can read by the lake, in the lake on a floating lounge, or on the beach without the worry of sand getting into the e-reader. The glare of the sun won't impede my view of the screen either. I recently browsed from some of Kobo's 5 million titles to see if they offered the books on my family's "must-read" list. My 9-year old daughter is a huge Harry Potter fan, and got into the series before the announcement that Harry Potter and the Cursed Child, would be made into a play and manuscript. For her sake and for the sake of fans everywhere, I was delighted to see that this book will be available on Kobo upon its release (available for pre-order now). 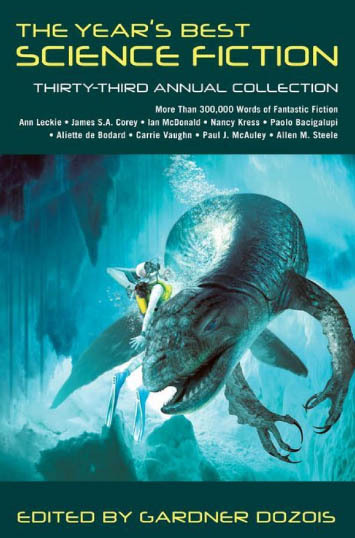 For my own summer reading, I'm leaning to science fiction genre's with The Heart Goes Last, by Margaret Atwood and The Year's Best Science Fiction, Thirty-Third Annual Collection, by Gardner Dozois. I really loved Margaret Atwood's book The Handmaid's Tale, and hope that The Heart is similar. And it has been a more than a two decade long tradition, for me to read The Year's Best Science Fiction collections. In fact it was through this collection, that I first become acquainted with the works of my favourite sci fi author: Alastair Reynolds. Kobo features books across all genres, e-reader options, and apps for the most popular smartphones and tablets. And as mentioned earlier, there are more than 5 million from which to choose. New Kobo customers receive a $5 credit when they sign up for a Kobo account! Get your $5 Kobo credit now. Looking to switch from paper books to an e-reader, or to upgrade your current one? The Kobo Aura H20 is waterproof (up to 30 minutes in 1 metre of water with the port cover closed), anti-glare and dustproof, features HD display, quick page turns and ability to store thousands of e-books (4GB, expandable up to 32GB with a microSD card). Specs include 265 dpi and a generous 6.8" touchscreen, with text appearing like print on paper--and displaying high resolution images crisply. The Kobo Aura H20's 10 fonts and 24 font sizes are customizable (by sharpness and weight), and display clearly and crisply. My favourite feature? The e-reader has a battery life of up to two months! I wish I could say the same for my smartphone. Get a $5 Kobo Credit now! What books are on your summer reading list this year? If you don't have an e-reader yet, are you thinking of making the switch--and is anything preventing you for switching? Enter to WIN a Kobo Aura H20 E-Reader "gift basket"! Details and rules and regulations below. GOOD LUCK! I have a lot of books on my Kobo at the moment that I haven't read. I like reading books about the Friessens family by Lorhainne Eckhart. The new James Patterson, 15th Affair. I am on the third book in the outlander series - I would like to finish the rest of the series over the summer! On my summer reading list is 30 Girls, Saving Alex and My Name is Lucy Barton. I want to read the last book in the trilogy by Justin Cronin. The Passage. Can't wait to read the last one! Oh, so many books. I'm currently reading the first Outlander book. I want to read To Kill a Mockingbird and its sequel, All the Lights We Cannot See. nothing yet. That's terrible! This post reminds me to start looking for a new book to read. I have a Kobo! I'll be reading the Southern Reach trilogy. Anderson Cooper's The rainbow Goes around about his relationship with his mother. I do not have e-reader yet. I have been reading books instead. A lot of work this winter so didn't get a chance to read much so hoping to do a lot this spring. First on my list is to catch up on the latest Stephen King books. Been a long winter working so didn't get much change to read so hope to get caught up on the latest Stephen Kings this summer. The 5th wave series by Rick Yancey is on my summer reading list. I can't wait to read the new Harry Potter! I want to read the Neapolitan novels by Elena Ferrante. I've been meaning to start it for ever and it's time for me to get to it! i've been thinking of getting an ereader... this would be perfect! All Summer Long by Dorothea Benton Frank is on my summer reading list. All Summer Long by Dorothea Benton Frank is on my to read list this summer. I have so many books lined up to read, it's not even funny. First in line is "The Snowball" about Warren Buffett, then after that I'll need something light, maybe a Jojo Moyes. Definitely Harry Potter and the Cursed Child!!! I've been reading very serious books and non-fiction this winter so this summer it's beach reads all the way! Starting with The Selection. yay YA! I want to re-read To Kill a Mockingbird, so I can read Go Set a Watchman, which I received for Mother's Day. Fore sure Harry Potter and the Cursed Child!!! I'm still trying to get through the Xanth Series! Web of Deceit by Katherine Howell is next up for me. Also plan to catch up on my reading in the Graham Hurley Jimmy Suttle series. I'm determined to finish the Game of Thrones series over the summer. I'm halfway through book 3 now so sounds about right, haha. Plus some fun beachy books too, I just haven't decided which ones yet. I would like to read the Outlander series. I've been waiting ages for the 3rd book in the Passage Trilogy, City of Mirrors. This summer I would like to read books by Charlotte Harris. I'll be reading The Red Queen. Love to read, so having this item and able to read many books would be a wonderful thing. The Heart Goes Last by Margaret Atwood is on my summer list. I am hoping to read the next book of Game of Thrones!! Hopefully it will be out soon! Just finished reading The Girl Who Stopped Swimming, The Witches Daughter and Elizabeth Is Missing. Seems I'm on a book binge! I could use a new Kobo, mines getting a bit finicky. I'd like to read some more Joy Fielding books this summer. I will be reading whatever I can find that I have not read 2 or 3 times. If I can't find anything I will be open to suggestions. I'd like to read The Girl with the Dragon Tattoo. I don't have a reading list for the summer. I just visit my local library and choose whatever I feel like reading at the time of my visit. Steven King and Dystopian Sci=fi books. Love that it's waterproof! Such a fantastic feature. I haven't switched over to an ereader but this one looks awesome. I'm going to read some Jack Reacher! Into the Wild :) Many thanks! I am so in love with my new Kobo Aura H2o, it is perfect! So lightweight and it holds so many books! The waterproof feature is the icing on the cake! 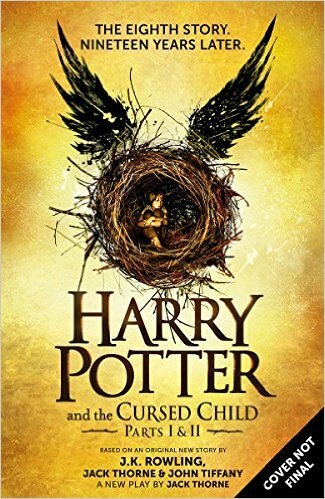 Harry Potter and the Cursed Child is on my reading list but my daughter might beat me to it-we are all Harry Potter fans. this would be perfect for the beach! I have not found anything as of yet. My summer reading list includes One with You by Sylvia Day. I love that this new kobo is waterproof!! What an awesome feature! Harry Potter and the Cursed Child. Also, 11-22-63 by Stephen King. I've lots of books on my shelves waiting to be read. My summer reading list is as many of them as I have time for. The great KOBO Aura H2O would make a perfect companion for my fishing & camping trips up north this summer. Nothing like passing away time on a boat,reading a book, while waiting for the fish to bite. I enjoy reading any Clive Cussler book, and his latest one "The Emperor's Revenge" should make for a great read. Plus any mystery/thriller that I haven't read from any of the great mystery writer's will take care of those long, hot summer days. After my Kindle recently died getting back to reading ebooks has been on my to do list. I'm reading Kelley Armstong's Cainsville series.